MSNBC’s anti-Trump campaign reached a new low recently. 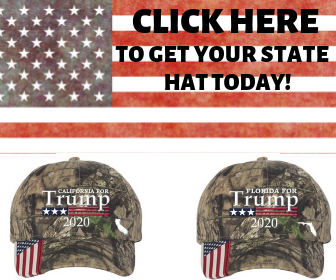 One of their hacks took aim at Trump-supporting veterans. President Trump has had multiple issues with ailing Arizona Sen. John McCain. Their spat has been extremely public. Trump attacked McCain’s military service while McCain attacked Trump’s personal abilities. 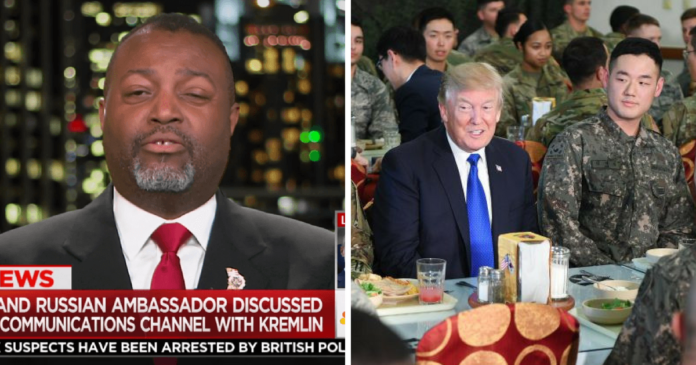 According to MSNBC analyst Malcolm Nance, any military veteran who sided with Trump is betraying his or her uniform. “The difference between what’s going on with Trump’s military base and the rest of the military is very weird,” Nance said. Look, obviously Trump has made a few crass comments. However, his ire was directed at McCain personally, not at soldiers in general. It’s not inconsistent to support both the military and Trump. “These military people love him, alright?” Nance continued. MSNBC treats people who support President Trump like they’re garbage. Liberal pundits hate the idea the president is genuinely popular. Most Americans don’t have the same issues plaguing MSNBC’s stars. They can happily admit that they still support the man they voted for. McCain is currently focusing on his health in Arizona. He hasn’t abandoned his post completely, however, he’s still expressing his opinion on issues ranging from Gina Haspel’s nomination to America’s responsibility abroad.